Have you ever heard a tune online, and wondered how can i find a song by the tune? 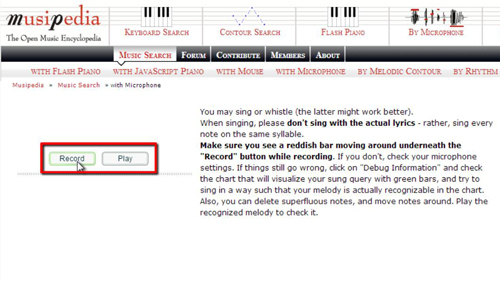 Musipedia is a tool which allows you to do this. 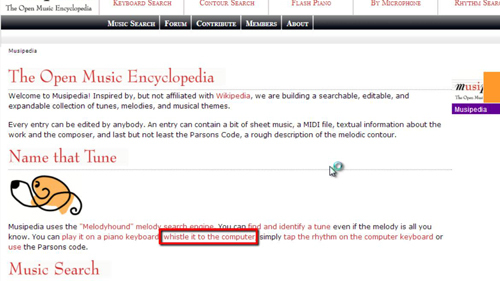 First, go to “http://www.musipedia.org.” Scroll down the page, and look under the section “Name that Tune.” Under this section, you will find a link that says “whistle it to the computer.” Click it. You should now be on the “Microphone” page. To the left side, you will see two buttons, “Record” and “Play.” Press the “Record” button first, and look to the bottom of the button to see if a reddish bar appears. If it does, that means your voice can be recorded – if you are prompted to allow the function to run do allow this. After whistling or singing the tune, press the “Stop” button. Musipedia will search for the tune. 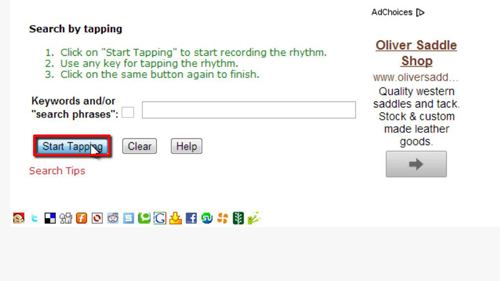 Once you’re on the “Tapping” page, press “Start Tapping” to begin the recording. Then use the keys on the keyboard to tap the rhythm. You will want to press this same button a second time to stop. Finally click “Search Musipedia” and some results will appear that match the rhythm you tapped. 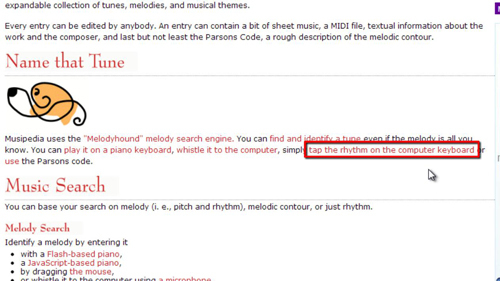 If you’ve ever wondered how you can find a song by the tune, Musipedia helps.